Please do not park on Shady Lane (which is across the street from the entrance). 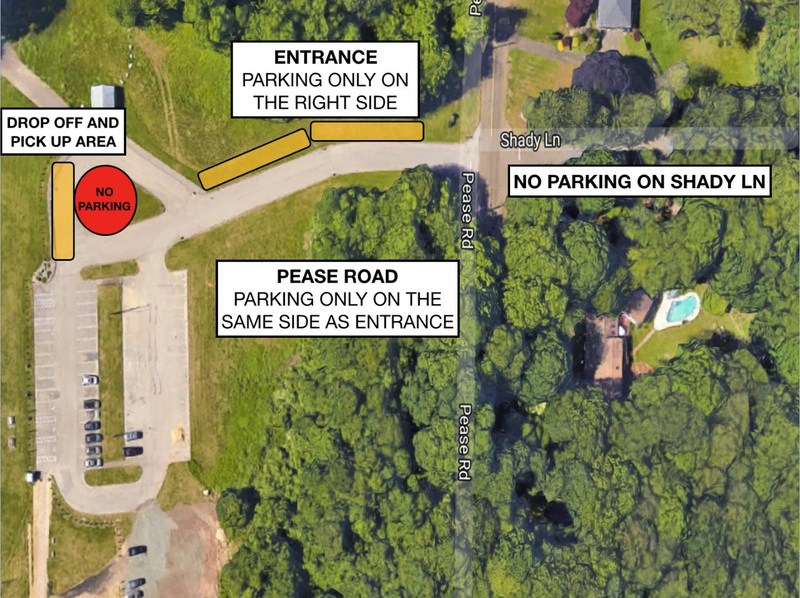 Parking on Pease road is only permitted on the same side of the field entrance. Please do not block the entrance area, cars are allowed to park on the grass area only on the right side of the driveway when entering the fields, though no parking on the road or left side. We need space for two cars to enter and leave the fields. Please do not leave big gaps in between each car when parking. Players can be dropped off/picked up at the circle; we will have a staff member there to help. Once 1st session ends at 6:45pm cars will be leaving and spaces will be available. You can drop off your child, go get some coffee, and come back a few minutes later, that would help us organize traffic.